Former Liverpool striker Emile Heskey has backed his old side to be the Premier League's most attractive club in the summer transfer window, even ahead of Pep Guardiola's Manchester City. Both north-west clubs are at the centre of the title race this season, with City currently one point in front with just six games remaining this season. But Heskey isn't convinced that a Premier League title will alter their attractiveness for players at the end of the season, insisting Liverpool's 'heritage' is more important for new signings than Manchester City's bank balance. 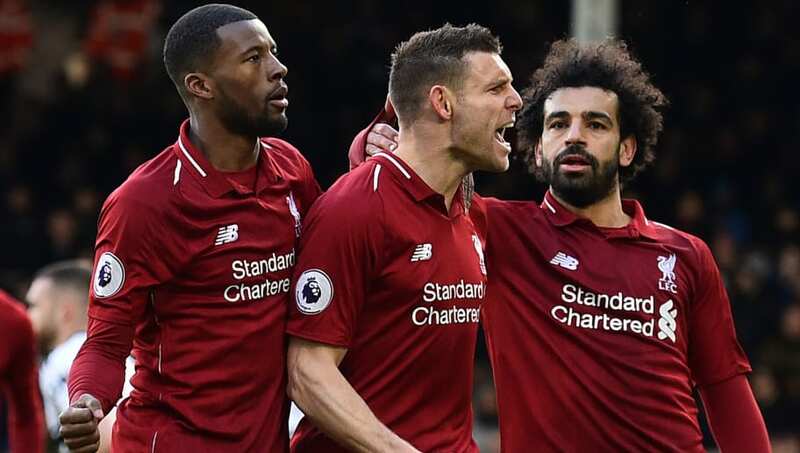 "Liverpool will look to build their squad in summer to ensure they have strength-in-depth next season, similar to what Man City currently have," Heskey told Bet O'Clock. "Man City have 2-3 players in each position and their squad is the best in the league. They’ve got outstanding replacements for each position. But can Liverpool compete with Man City’s financial backing? However, due to the heritage of the club, players will want to join Liverpool." Heskey added that his former side should be looking to add another striker to their ranks this summer, highlighting their need for a Marcus Rashford style player who can offer something different to Roberto Firmino in their attack. "Liverpool will want to sign another striker in summer. Divock Origi gives them another option to up front, but they still need another top striker instead of Firmino," he added. "They’ll be looking to sign a player that can offer the option in behind the opposition defence. However, you don’t really see players who can do that in the Premier League, apart from Marcus Rashford for Man Utd." There haven't been any concrete links for Liverpool fans to jump on board in the build-up to the summer window, with the club appearing to be focused on other positions in the team. But RB Leipzig striker Timo Werner has been mentioned as a potential target should Bayern Munich fail to agree on a fee with his club at the end of the season.